Our Timeless Shimmer Earrings are designed to provide 3D sparkle with the leverback housing three rows of varied angle natural diamonds, and highlighting the center stone gracefully moving beneath it in the center halo. 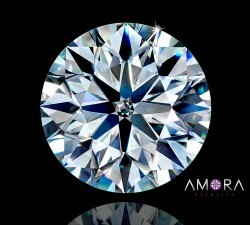 Perfect for a stunning pair of Amora Gems, these earrings are our own design and cast in High Pressure enhanced Palladium or Platinum for a lifetime and beyond of enjoyment. 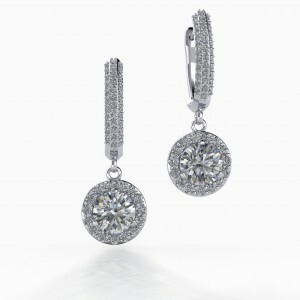 Each earring features 49 natural diamonds (F/G color, well cut and VS clarity), for a total of approximately 1.16ctw. 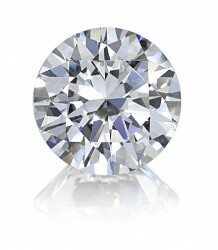 Per earring, this is a breakdown of 1.1mm (22 diamonds), 1.3mm (12 diamonds), and 1.8mm (15 diamonds). 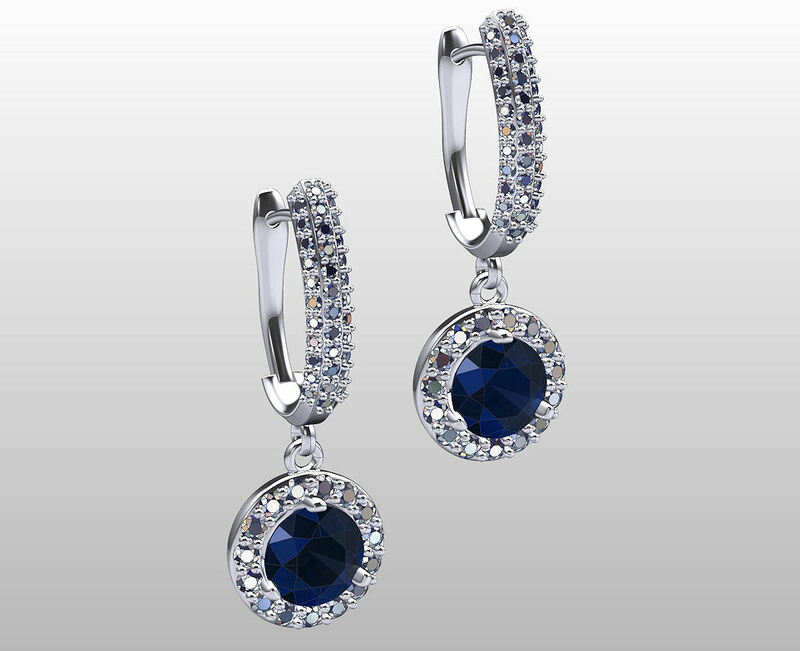 Made in your choice of platinum or palladium, to provide maximum customizability pricing above is for the earring mounts (pair) with surrounding diamonds and no center. 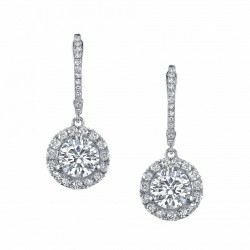 To purchase ready to wear earrings, simply add two 8mm round stones of whatever type you wish to your cart and we will automatically set these into the halo dangle earrings and ship a ready to wear/gift pair of stunning earrings. There is no charge for the mounting labor. 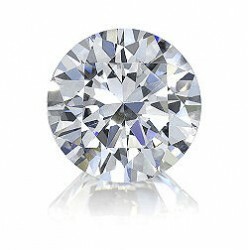 Optionally, order just the earring mountings above and have your local jeweler set your own 8mm diamonds or other stones into the center. Due to our sales volume, please allow an average of 15-20 business days (3-4 weeks) between placing an order for these earrings and receiving your order. Please do not send an e-mail to inquire about the status of your order until at least two to three full weeks have passed since order placement. If you have a special occasion planned that involves your earring order, please specify the date you need them by under the special instructions during checkout - we will do everything we can to make sure you have your order by the date specified. We hold the right to refuse any order that needs to be delivered within a timeframe we consider inadequate for the satisfactory and high-quality completion of our designs.